He made the decision after coming to grips with a cyst in his brain that had developed significantly in recent years. CLEVELAND, OH (WOIO) - Ohio State football coach Urban Meyer will retire after the Rose Bowl. He made the decision after coming to grips with a cyst in his brain that had developed significantly in recent years. Meyer officially announced the decision at a press conference Tuesday afternoon. The cyst gave the 59-year-old regular headaches and made him fear for his long-term health. Ryan Day, 39, will take over as head coach of the football program. The offensive coordinator took over this season for three games when Meyer sat out with a suspension. Meyer will use the press conference to formally announce his retirement from coaching following Ohio State’s appearance in the Rose Bowl Game, and Smith will name Day as the 25th head coach in the history of the program, beginning Jan. 2. He had brain surgery to drain the cyst in the spring of 2014, and another surgery is an option for treatment. 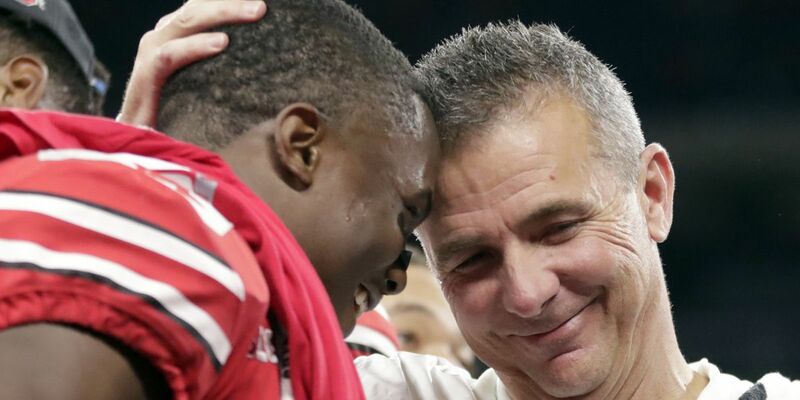 The head coach is 82-9 in seven seasons at Ohio State, with a 7-0 record against Michigan and three Big Ten titles. Seven years was the longest tenure at any of the four schools he coached, following two seasons at Bowling Green, two at Utah and six at Florida. In spite of a historic season for the Charlotte Checkers, they head to the AHL’s Calder Cup Playoffs humble and hungry.